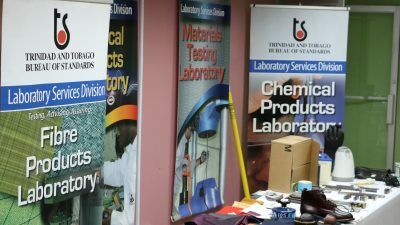 The Laboratory Services Division of the Trinidad & Tobago Bureau of Standards provide testing and calibration services to the manufacturing, commercial and public sectors in the country. It is accredited by United Kingdom Accreditation Services (UKAS) and provides these services through four laboratories, Chemical, Electrical, Fibre and Materials. Each laboratory is staffed by highly trained and qualified personnel and is outfitted with state-of-the-art equipment. Other services provided include advice in various related areas, methods development, training in analytical techniques and making recommendations with respect to equipment selection and Test Methods. 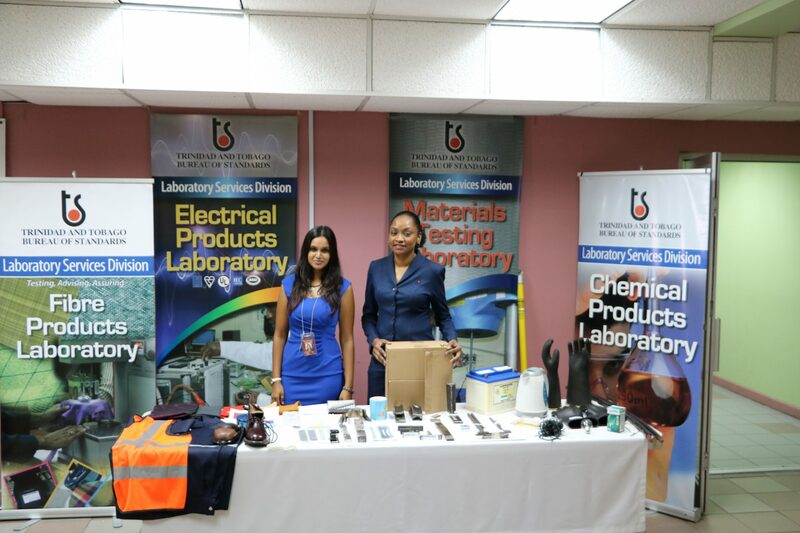 On behalf of the Underwriters Laboratory (UL) of the USA the Division carries out inspection of electrical items which are manufactured locally, for example, air condition units. 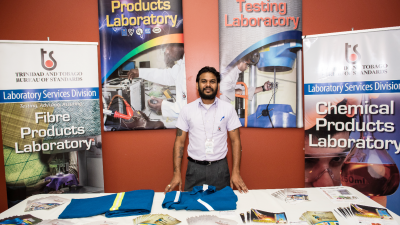 As a leading laboratory for household chemical products testing, quality assurance programs help retailers and manufacturers boost confidence in the quality, safety, performance, and marketing claims of their products. To verify that a consumer product meets all appropriate national and international standards and regulations, the chemicals within the product itself need to be tested for their toxicity, purity, strength, reactivity, colouration, performance and safety. Roofing Sheets: Determination of the mechanical properties, base metal thickness, mass of coating, labelling and dimensional characteristics for flat, corrugated and trapezoidal profiles. Purlins : Determination of the mechanical properties, base metal thickness, mass of coating, labelling and dimensional characteristics for various purlin profiles. Rebars: Determination of the deformation dimensions, ultimate tensile strength, elongation at fracture, ductility and mass per length. Performance of a chemical analysis. Steel Wire: Determination of the ultimate tensile strength, elongation at fracture and mass per length. The TTBS is here to guide you with testing needs and develop tailored monitoring programmes that meet your individual needs. Our Labs are here to work with importers of refrigerants to ensure the quality and consistency of refrigerant gases. 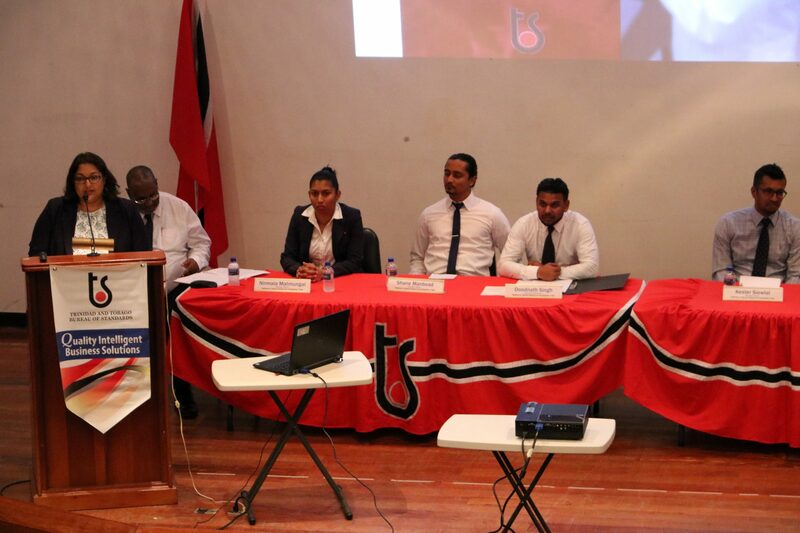 As part of a global initiative, the TTBS is here to ensure that only approved refrigerants are imported into Trinidad and Tobago. • Evaluate your raw materials and to verify that you are gaining value for money spent. Training on how to perform dimensional measurements of roofing sheets, purlins and rebars according to Trinidad and Tobago’s compulsory standards. Determination of the root cause of mechanical failure for industrial equipment. Advisory services in quality assurance to manufacturing enterprises seeking to meet a specified standard for their products. a. Weld Specimens: Performance of destructive tests according to ASME Boiler and Pressure Vessel Code – Section IX, API 1104 – Welding of pipelines and related facilities and AWS D1.1/D1.1M Structural Welding Code – Steel to assist in the qualification of welding procedures and welders. Tests include: tensile, bend, macroscopic preparation and examination, hardness survey, charpy v-notch impact, nick-break and chemical analysis. b. Coatings: Determination of the hardness value, adhesion strength, adequacy of coating on edges, opacity level, reflectivity level, gloss level, total drying time, streaking, the hiding power, the lead content, applicability and appearance. Detection of discontinuities in the coating. Performance of accelerated weathering- corrosion resistance of coatings to a salt spray environment. a. Chairs: Determination of the impact strength, static load capabilities and resistance to corrosion via accelerated weathering. c. Crates: Determination of the compressive strength, stacking capabilities and resistance to corrosion via accelerated weathering. d. Boxes-Paper & Cardboard: Determination of the compressive strength of corrugated fiberboard boxes and assuring it’s stacking capabilities. e. Bags and Films: Determination of the tear strength, dimensions, tensile properties, penetration resistance, stacking capabilities and water permeability. f. Cans: Determination of the compressive strength and assuring it’s stacking capabilities. g. Buckets: Determination of the tensile strength, penetration resistance, stacking capabilities and resistance to corrosion via accelerated weathering.